A white, healthy smile is a sign of youth and is generally considered more aesthetically pleasing than a smile that is dingy, yellowed or otherwise stained. Many different teeth whitening treatments are available today to restore teeth and help people achieve their whitest smiles ever, but are they safe? 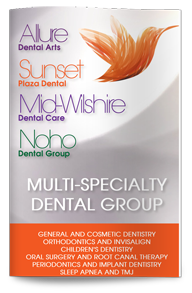 Here’s what West Hollywood cosmetic dentist, Poneh Ghasri DDS, would like you to know. Over-the-counter teeth whitening products can provide you with some enhanced whiteness, but not all of these products are safe or effective. Whitening toothpastes work by buffing away surface stains, but if used too frequently, they can actually begin to wear away enamel and make teeth appear even yellower than before as darker-colored dentin shows through. Over-the-counter whitening kits have bleaching ingredients that can whiten by a few shades, but the primary drawback to these is that they lack the precision care of in-office treatments. Excessive contact between the gums and the bleaching solution can lead to irritation and gum discomfort. 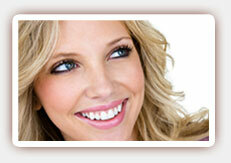 In-office whitening treatments are generally considered the safest and most effective way to whiten teeth. Our dentist can provide you with either a take-home kit and customized mouth trays or an in-office procedure that can leave your teeth dramatically whiter. Because in-office procedures are performed under direct dental supervision, you can be confident your teeth and gums will be well-protected every step of the way. If you’d like a whiter, more confident smile, contact us today to schedule a consultation with Dr. Ghasri, West Hollywood teeth whitening expert.